Employee exits are never easy. There’s the lost business opportunities and downtime, not to mention the costs associated with hiring and training a replacement. Not all exits are a loss of course and sometimes change is inevitable. Taking the time to conduct an Exit Interview with employees can be a very beneficial way of uncovering potential weaknesses or areas for improvement within your organisation. Ensuring your staff are happy, motivated and productive can never be a bad thing right? 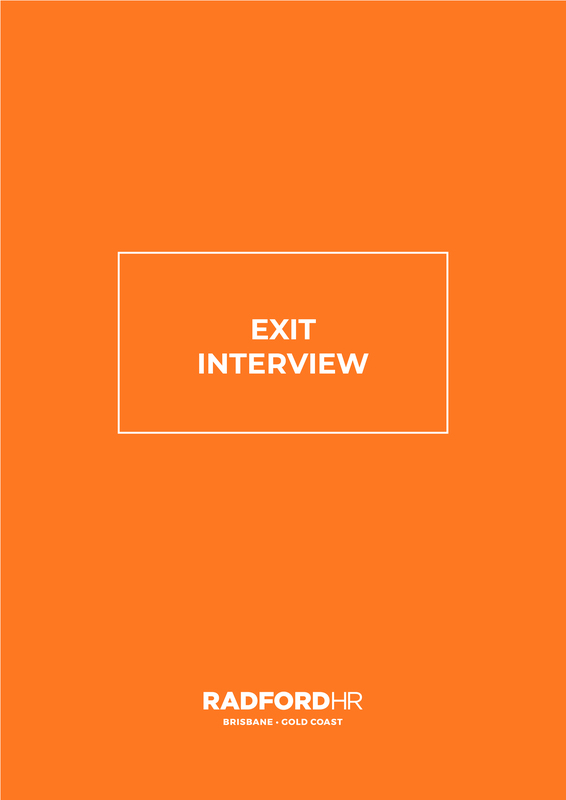 The Exit Interview Questionnaire does the thinking for you and provides the structure and framework for conducting a successful Exit Interview every time.